 His Holiness Pope Francis was pleased to learn that the 16th World Summit of Nobel Peace Laureates will be held in Bogotá from 2 to 5 February 2017, and he sends greetings to all present for the occasion. As the participants reflect on the many challenges to peace in the modern world, His Holiness encourages them in their efforts to promote understanding and dialogue among peoples. In a particular way, he trusts that the efforts in Colombia to build bridges of peace and reconciliation can inspire all communities to rise above animosity and division, for “when victims of violence are able to resist the temptation to retaliate, they become the most credible promoters of nonviolent peacemaking”. With prayers that nonviolence will thus become the “hallmark of our decisions, our relationships and our actions, and indeed of political life in all its forms” (Message for the 2017 World Day of Peace), His Holiness cordially invokes upon all gathered for the Summit meeting the divine blessings of wisdom and strength.